Far too frequently people tend to either fall into the age-old trap of holding on to old and sensitive documents longer than they need to, or—rather than keeping their documents at all—simply just throwing them in the trash. As the number of identity theft victims continues to rise each year, the reasons to make document security and information protection a higher priority also continue to grow. In order to help raise awareness of this security epidemic, businesses can organize shredding events to provide an opportunity for people to come together—securely shredding their documents while also promoting a safer and greener community for people to live in. What Is A Community Shredding Event? There are benefits to be had for all parties who participate in community shredding events. While you and other co-hosts or partners will reap the advantages of being able to market your name as public service sponsors in local communities, the attendees who visit your shredding event also enjoy plenty of perks. Older Americans all too often are caught in the crosshairs of identity thieves, and many look forward to the shredding events that are held in their communities as a convenient opportunity to gain peace of mind by shredding old paperwork. 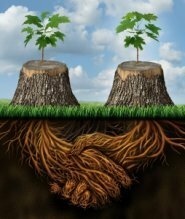 In this in-depth white paper, we walk you through the steps to setting up a community shredding event, detailing information ranging from what a community shredding event is, why your company should consider sponsoring one, and how to set up and promote your shredding event to ensure it is a successful one. Sponsored by local businesses, charities, nonprofit organizations, and even large companies, community shredding events are frequently held in cities all across the United States. Offering a convenient opportunity for members of a community to come together and safely shred their documents, shredding events also help to raise awareness of the importance of information security and preventing identity theft as well. So, you may ask, how exactly does a community shredding event work? Generally speaking, most community shredding events are held in large and easy-to-access public spaces, such as church parking lots, apartment complexes, or senior retirement centers. Once you set a date and location for your shredding event to be held and schedule with a shredding provider in your area to arrive, the rest of the process is actually quite straightforward. On the day of your event, the provider’s mobile shred trucks arrive at your location, and event participants simply arrive and bring their boxes of documents to be shredded. When hosting a community shredding event, organizations may ask for a donation or small, flat fee from participants to help pay for the shredding service, however some shredding events are held as a free opportunity for a community to shred their sensitive documents and come together to learn about proper document destruction. At this point you may now be asking, why should my business or organization be considering sponsoring a community shredding event? Although the primary reason for shredding events is to help make communities a safer place to live, a shredding event can offer benefits to all parties who participate—even event sponsors. From the perspective of your business, hosting an event can help to get your name out into the local space, and from the point of view of the community members who attend, a shred event presents a unique opportunity to conveniently shred documents. Even for the media outlets you may partner with to help spread the word, a shred event can be seen in a positive light as an endorsement of public services. No matter how one looks at a community shredding event, there are advantages to be had—so the true question is, why not? 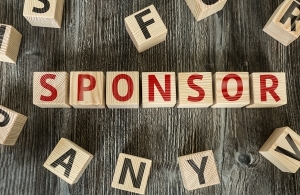 For local organizations, nonprofits, and businesses large and small, advertising and public awareness is a key factor to the overall success of your group. By hosting a shredding event for your local community however, you provide yourself a perfect vehicle for spreading the word and marketing your organization. Besides just marketing and creating a presence for yourself, hosting a shredding event is also a great way for businesses to present themselves to the public in a friendly and helpful light. In regard to building a positive public-relations profile, there is no better way to get off on a good note with a local community than by giving back and providing community members a convenient opportunity to shred documents and protect themselves from financial fraudsters. Additionally, shredding events can help communities to take steps toward “going green”. To get an idea of paper use in America today, statistics from the United States EPA report that the average office employee in the US uses approximately 10,000 sheets of paper in a single year. Although newer technologies and electronic documents have helped to reduce the overall use of paper in the United States, paper certainly isn’t a thing of the past. By sponsoring a shredding event though, your business or organization can help to additionally soften the impact of paper use in the US, as partnering shredding providers recycle paper shreds after the event. While there are plenty of benefits and positive marketing opportunities to shredding events for the sponsoring organization to take advantage of, hosting a shredding event can also greatly benefit the local communities. 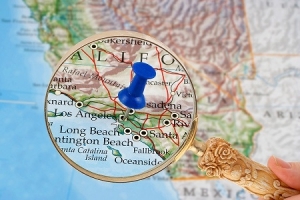 In the past five years alone, cases of identity theft have continued to increase across the United States. 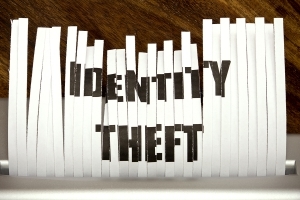 According to the most recent findings from the American Bureau of Justice Statistics, 2014 marked another rise in instances of identity theft with 17.6 million US residents affected by their information being stolen. Given this unsettling data, shredding events now serve as an important opportunity for businesses to demonstrate the value of keeping critical personal information secure and taking the steps to ensure documents are properly destroyed. Community shredding events offer a cost-effective and convenient method for area residents to safely shred their documents, as most mobile shredding trucks used at shredding events also incorporate cross-cut shredding methods—actually providing a leg-up on security compared to most home shredders. To additionally guarantee the security of attendees’ documents, mobile shredding trucks at shred events also conveniently allow for participants to watch their documents being shredded, providing extra peace of mind that document security is still a chief priority at a community shredding event. Many shredding providers who offer their services also offer formal certificates of destruction for their services, which help to even further guarantee the security of the documents they handle during your event. Above all, the key to unlocking a successful shredding event revolves around how well you organize your event. Most successful shredding events will typically last between two and three hours, and in some cases, can see as many as 5,000 or more attendees—making it critical that you take the time to get organized and ensure the event runs as smoothly as possible. Shred events can range greatly in terms of their shape and size. For a small event hosted by a local church, there may be as few as four or five people needed to adequately run the event, but for bigger events sponsored by larger companies, shred events can scale massively upwards. No matter the size of the shredding event you’re planning, it’s important you take proper steps to organize the event and prepare yourself in order to ensure that everything goes according to plan. Once you’ve made the final decision to sponsor a shredding event for your community, the first step to getting things set up is to recruit volunteers to help to run the event. Reach out for volunteers wherever you can—for company-sponsored events, you may want to consider enlisting some of your employees as volunteers by offering them free access to the shredding services. Also make use of other popular areas within your local community, such as placing flyers at grocery stores, banks, libraries, and coffee shops. 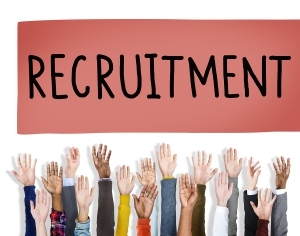 After you gather your group of recruits, it’s often recommended that you assign roles amongst them for planning purposes. Common roles for your volunteers include people to greet participants, event promoters, and event coordinators to oversee things during the event and ensure things run smoothly. With a solid core group in place to help you run the event, the next step is finding a shredding company and scheduling with their mobile services for a shredding truck to arrive on the day of your community shredding event. During the scheduling process, our shredding day specialists can provide 1:1 consultation for event hosts. We do the legwork during the shredder shopping process, working to find you local shredding service providers who are available for scheduling. When you set up your shredding event through Shred Nations, all it takes is simply giving us a date you’d like to hold your event. From there, we can handle the rest—providing you a list of nearby shredders with on site services and removing the headache of searching for suitable services. Shred Nations’ nationwide network of shredding providers offer shred event hosts the assurance their mobile shredding services are secure. By providing a certificate of destruction upon completion of service, this guarantees our clients that our services are wholly compliant with all federal and state information security laws. Once you’ve settled on a shredding company for your event, ask if they will be able to donate their services for the shredding event. While you may find it surprising, many shredding providers are interested in providing free or discounted services, as shredding events qualify as community service, and positive media exposure in any form can never hurt. First and foremost—size matters. Aim for large and open locations like churches, schools, and even hotel parking lots. There will probably be a fairly constant and steady stream of people moving through your event, so you’ll need the space to keep things running smoothly. Emphasize accessibility. Not only will there be quite a few people moving through your event—you’ll also need to account for the people you recruit to help organize the event, media partners who may be attending, and especially the shredding company. 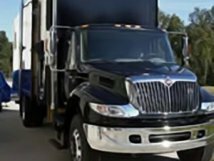 Mobile shredding trucks usually are large semi-trucks, so you’ll need to ensure there is adequate room for the shredding company to set up as well. Naturally, the ideal community shredding event will be geared to attract as many participants as possible to attend. To draw the maximum amount of visitors, aim to schedule your event for a weekend sometime in the morning, when more individuals have several hours of free time. This can also help when it comes to finding a location for your shredding event, as public services like banks have shorter hours and schools will be closed during weekends. Now that you’ve taken the time and steps to organize your community shredding event, the hard part is out of the way—all you have to do now is get people to attend. 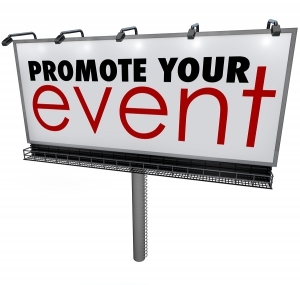 With numerous benefits like cost-efficiency, convenience, or fraud protection and document security for event participants to take advantage of, there are plenty of selling points for you to build on when promoting your event. 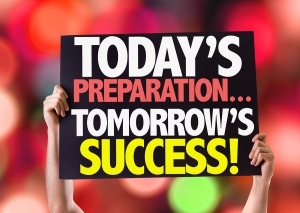 When you schedule your event through Shred Nations, our shredding event specialist’s 1:1 consultation also helps you with promotion in addition to shredder scheduling. We reach out to local media outlets on behalf of your event, and additionally help to develop free custom press releases and promotion graphics for flyers and website advertising. Although by some standards it may be called “old-school” advertising, still take advantage of posting traditional flyers wherever you are permitted around your local community. Libraries, grocery stores, pharmacies—wherever your shredding event can be seen in the public eye, be sure that you’re promoting there. Besides flyers and advertisements around town, Shred Nations also helps you to make contact with local media outlets like radio, newspapers, and TV while setting up your event. Just as you benefit from sponsoring valuable community services like shredding events, these media sources can also find benefits to spreading the word about your event. Also be sure not to forget to make use of internet resources as well. Using the custom graphics and press releases we create online can be a great way for you to attract the attention of those who miss paper flyers. Social media outlets have made public outreach over the past few years infinitely easier, so be sure to capitalize on the opportunity for your volunteers to make use of their own social networks—be it professional, personal, or both. The more word spreads through the grapevine about your upcoming shredding event, the better you can expect your turnout to be. With your community shredding event finally planned, scheduled, and set up, all that remains now is to simply put your plan into action. Since you already must work with a small timeframe when hosting a shredding event, it’s important to ensure that your event will run as smoothly as possible. Be sure to arrive ahead of schedule and place plenty of signs around the area to make sure that the event starts on-time and that everyone can find your event without delay. Emphasize the importance of customer service to all your volunteers and other organizers. If there is a problem for one of your event attendees, you want to be sure their issue is handled quickly and professionally to prevent the problem becoming a larger concern. Don’t let those who aren’t fortunate enough to make your community shredding event miss out. Coordinate with your media resources who can make it to the event by planning for interviews and photo opportunities following your shredding event. If you plan on hosting another community shredding event at another point in the near future, these potential media opportunities can work as an extension of your promotion efforts, helping to generate buzz for the next event you host. Get Free, No-Obligation Quotes on Shredding Services for a Shred Event in Your Area! Shredding events are a great opportunity for all members of a community—whether you’re a company hosting an event to market your organization, a media outlet looking to endorse a public service, or a member of the community striving to help make the world greener one piece of paper at a time. At Shred Nations, we specialize in helping organizations and businesses to organize, promote, and host shredding events. 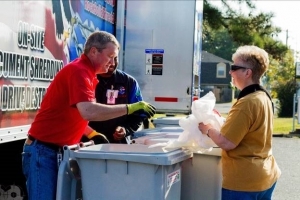 Partnering with a nationwide network of mobile shredding contractors, we work to connect you with the secure and reliable services you need to set up a shredding event for your community and assist you through each step of the organizing process. To get started with scheduling a mobile shred truck to come out for your community shredding event, just give us a call at (800) 747-3365, or simply fill out the form to your right to get free and personalized quotes for your event today!